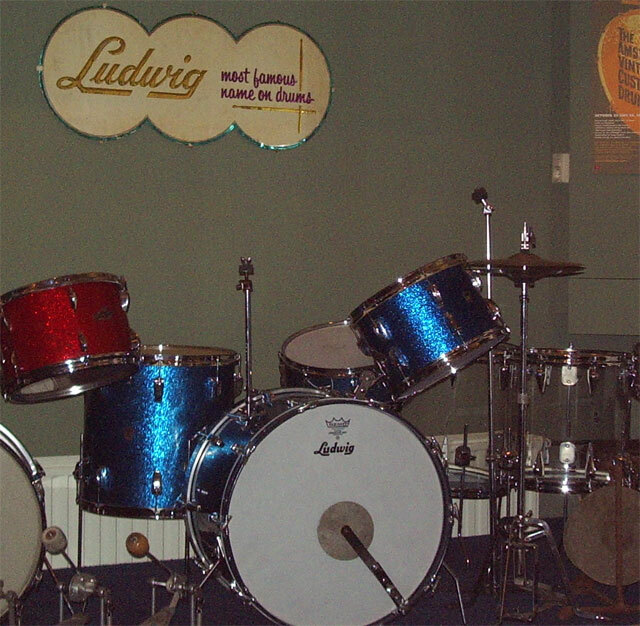 NEAR MINT 1960 Ludwig 'Super Classic' drumset in blue sparkle. Transition Badge. 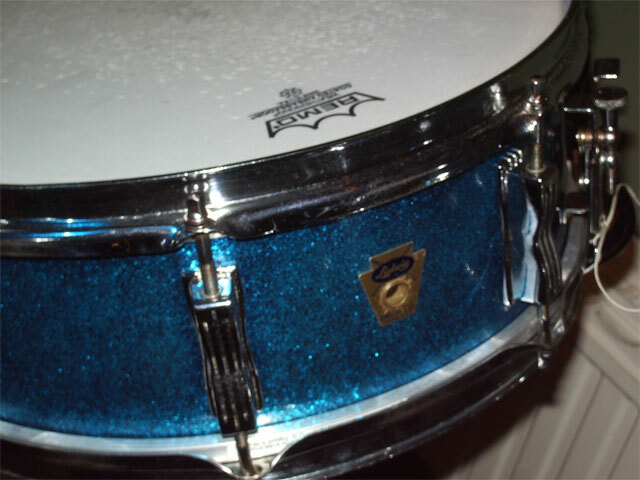 All drums are stamped FEB 10, 1960. 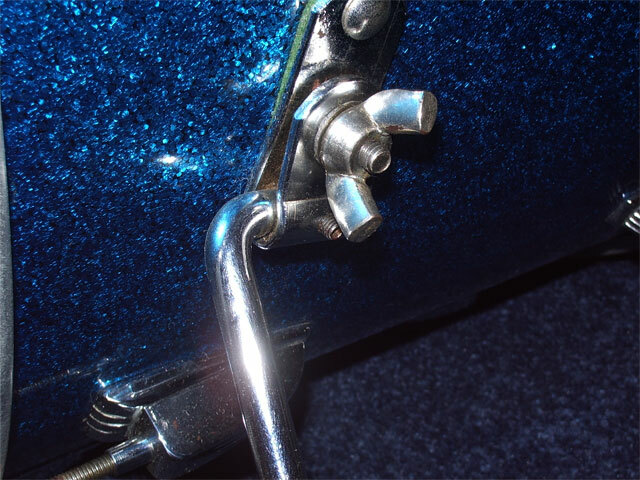 The Blue Sparkle finish is as shiny as it was in 1960, not discolored or any damage, some tiny little scratches if you look real close. Chrome is nice, very little pitting, could be cleaned up even better. 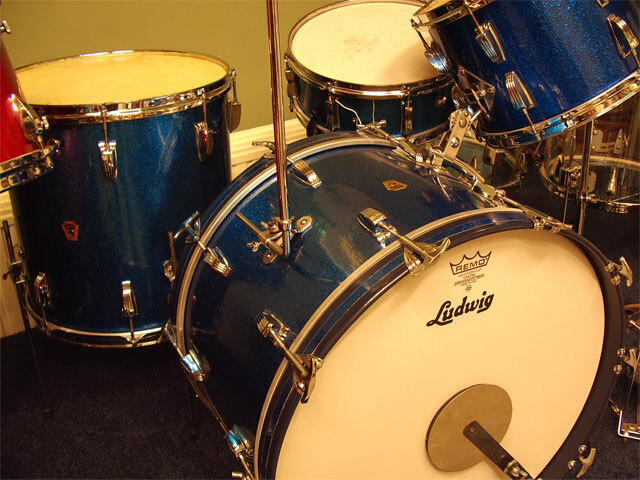 The shells are the famous 3ply mahogany inside and maple reinforcement-hoops. All shells are stamped with the manufacturing date FEB 10 1960. They sound full and warm as they should. 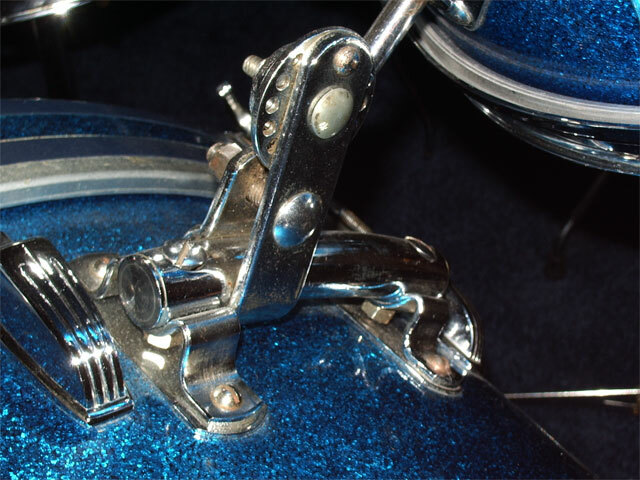 The toms still have the original calfskin heads but will also be very happy with coated ambassadors. The best thing in this offer is the set has the matching snaredrum model 'Jazz Festival', which also has the 3ply mahogany wood shell. 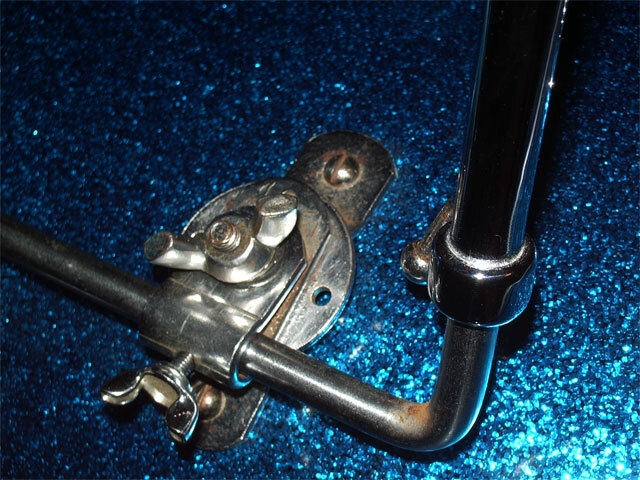 This is a perfect musical instrument in itself and has the most effective strainer ever, the P83 in great condition. 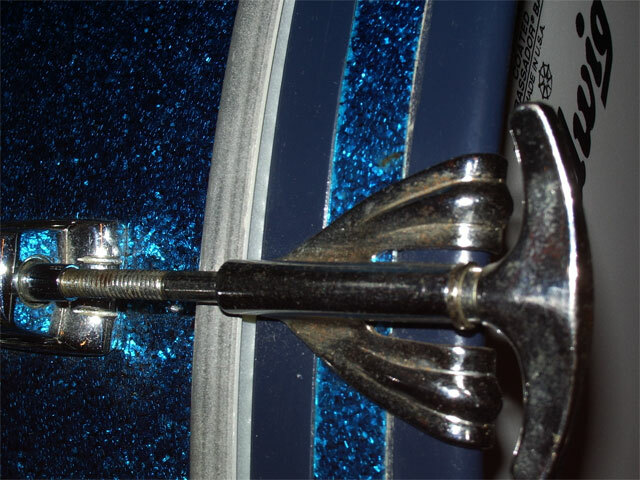 All metal hoops are chrome over brass. 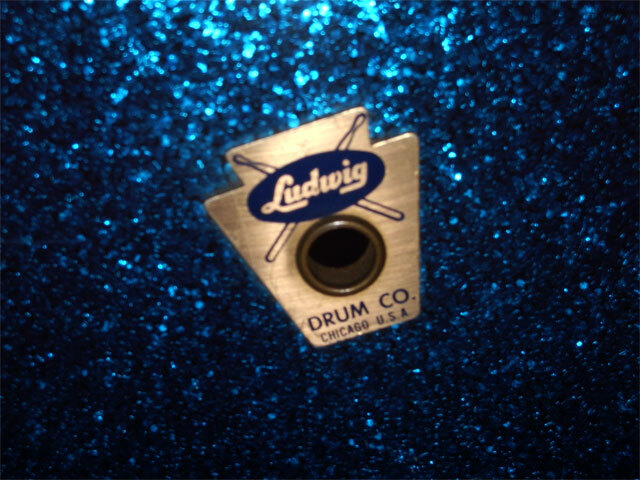 Also available period Ludwig/WFL stands and hardware.